Hey folks, glad you made your way to the only place you need to be for all things Vertigo. First off, allow me to express my earnest empathy and compassion for anyone with the condition. Having struggled with vertigo all my life, I understand exactly what you and your loved ones are going through. That said, let’s lighten up guys; it’s never that serious. I’m sure your heads are already spinning (pun totally intended and nailed) from all the fancy medical jargon and complex terms out there, so I’ll keep it as simple and as fun as possible. And don’t worry, vertigo is a totally manageable condition that should never keep you from achieving your full potential. That said, it’s time for Y’all to sit down, relax, kick back and buckle up; not because of the dizziness or anything, but because you’re in for one wild, informative, and incredibly entertaining ride. That’s right; this is the ultimate, in-depth, mother-of-all guides to every single thing you need to know about vertigo (and some stuff you don’t really need to know.) But first, what exactly is this vertigo thing that everyone keeps referring to? Remember when you were a kid? I bet you and your friends would spin round and round until you all fell down dizzy. Well, now imagine getting that dizzy, spinning sensation out of nowhere. As you would expect, it’s absolutely no fun at all. If you’ve ever been going about your daily duties only to be hit by a sudden dizzy or woozy sensation followed by a loss of balance like the world is swirling, rocking, and spinning around you, then you might have vertigo. Not only does this feeling limit your activities, but the sensation often makes people sick or nauseous. Some types of vertigo only happen once or twice in your life. However, others will continue to recur until an underlying solution is found. Typically, vertigo hits you out of nowhere and can last for just a few seconds or much longer. People with severe vertigo will have constant symptoms that could even last for days. As you can imagine, this could make having a normal life quite difficult. Which is why scientists, researchers, and biologists continue to look into the causes and treatments for vertigo. But before we get into the causes, it’s important to watch out for the following symptoms of vertigo. 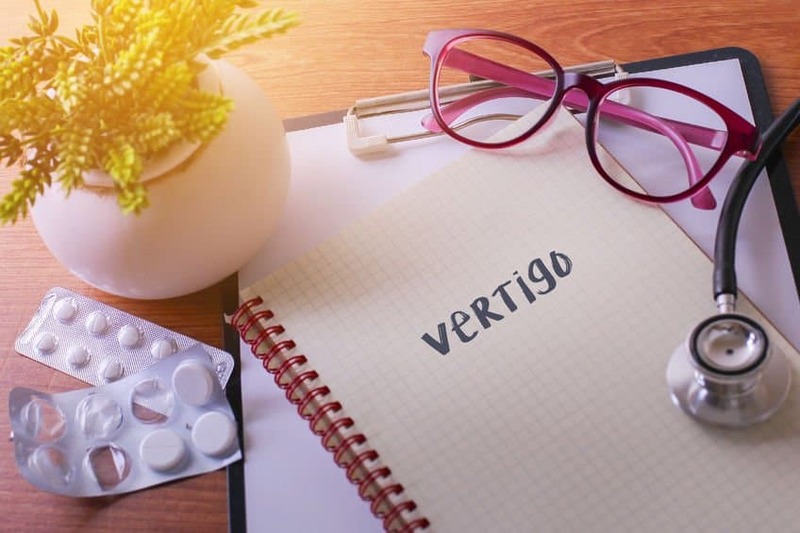 Now that you know what symptoms to keep an eye out for, it’s time to dig deeper and find out just what exactly causes vertigo or contributes to its development. Simply put, vertigo is caused by your brain sensors sending commands to the noggin that your body is off balance whereas this is not the case. We’ve already seen how children induce a sense of vertigo by spinning around for a few seconds. However, this type only lasts for a couple moments, and then it disappears. Vertigo, on the other hand, occurs spontaneously and can last for hours. So naturally, the diagnosis would be that vertigo results from an inner ear issue. But as it turns out, there are quite a good number of causes of vertigo as well as an entire host of factors that promote it. And all these are all dependent on what type of vertigo you have. I know I promised we would steer clear of jargon and medical terms, but information is power folks. So please bear with me while I take you back to biology not-so 101. But once you understand the different types of vertigo and their causes, you’ll be able to get a better diagnosis and subsequently, better treatment and management. As the name suggests, central vertigo is linked with problems affecting a person’s central nervous system. Basically, it is caused by a disturbance in the cerebellum and the brainstem; all vital segments of your brain that deal with the interaction between your visual senses and sense of balance. Central vertigo could also be caused by interference with sensory messages to and from the thalamus. 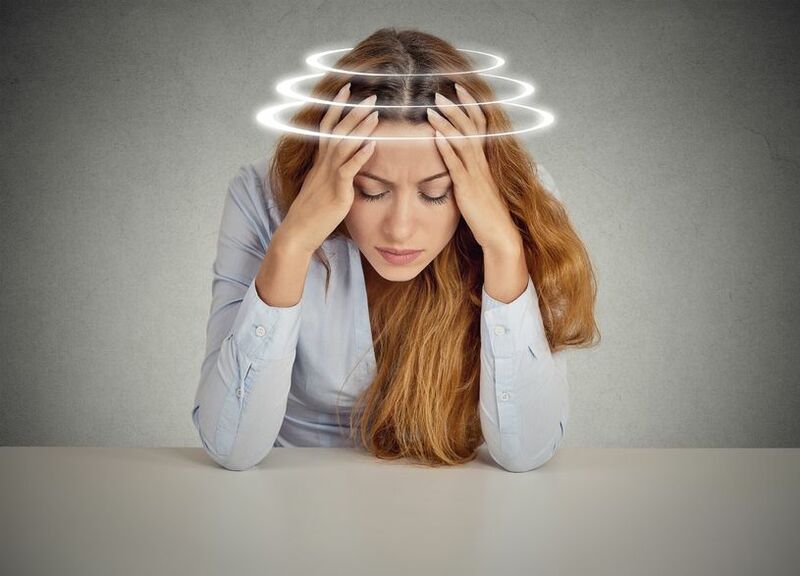 Research shows that an estimated 40 percent of patients with migraines and headaches often experience some form of vertigo that involves dizziness, disrupted balance or both. This is the most common type of vertigo, and you guessed it; it’s linked to the inner ear. The inner ear is lined with tiny organs that enable the transmission of messages to the brain in response to gravity. These messages tell the brain when there’s movement from the vertical position so that you can keep your balance. Any disturbance or inflammation to this system causes vertigo. Peripheral vertigo can be caused by any of the following factors. As always, the definitive cure or treatment for vertigo depends on the underlying cause. Patients have a wide range of treatment options to choose from including low salt diets and injections all the way to surgical measures and some easy home remedies. In some occasions, the symptoms of vertigo go away on their own without any need of treatment. However, the larger majority of patients have repeated episodes for many months or even years. Fortunately, there are plenty of treatments available. These are often prescribed to help treat vertigo, with the leading one being Meclizine. It works by preventing motion sickness and decreasing the severity of symptoms. Side effects include blurred vision and dry mouth. This drug actively suppresses motion sickness by decreasing the velocity of the vestibular nystagmus and inhibiting the firing action of the vestibular nucleus neurons. Scopolamine is among the most recommended anticholinergic for vertigo and has side effects such as dilated pupils, sedation, and dry mouth. These are a group of drugs doctors may prescribe in an effort to reduce the feeling of nausea or vomiting as a result of vertigo. To cut down of how often patients experience dizziness, doctors will often prescribe water pills or something similar. A low salt diet is recommended with this type of medication. These meds are often prescribed for acute vertigo and offer relief by acting as vestibular suppressants. In addition to keeping motion sickness under control, Benzodiazepines also reduce anxiety caused by vertigo. With the following remedies and exercises, you can treat your vertigo at home without worrying about toxic and costly drugs with harmful side effects. This is an exercise regimen that helps alleviate any symptoms associated with vestibular disorders. These maneuvers and exercises help offer relief for dizziness, imbalance, abnormal eye movements and other symptoms of vertigo. This exercise is highly recommended for people with vertigo at home due to its simplicity and safety. However, you are advised not to perform the exercise before driving since it might provoke increased dizziness for a while. Start by taking a seat on a flat surface with legs dangling as they normally would in a chair. Turn your head left as far as possible, then lay your head and torso down to your right side without moving your legs. Hold for about half a minute. Sit up, then return to your center position. Repeat the entire process on the opposite side, and you’re all good to go. 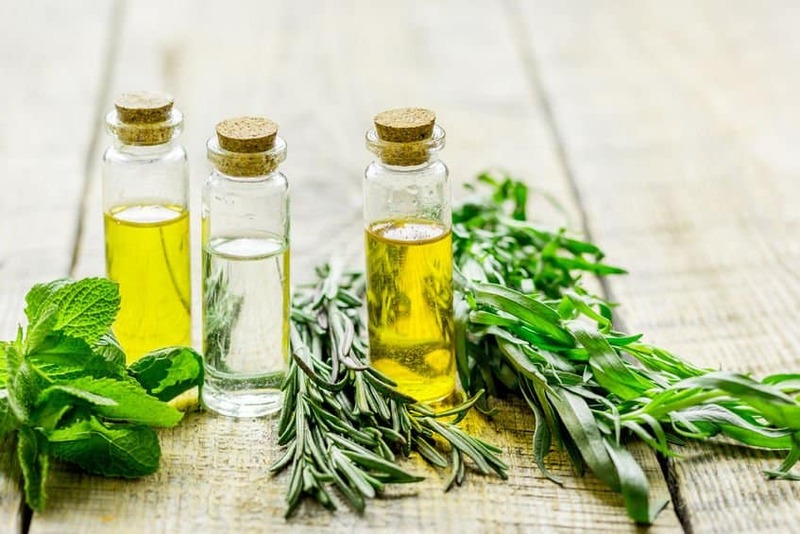 In recent years, essential oils have gained immense popularity and applications making them one of the most popular alternative health remedies. Having already looked at how these oils help in cleaning and other things, it makes sense that this magical little plant extracts actually help with vertigo. Thanks to their medicinal properties and therapeutic scents, essential oils are immensely helpful for vertigo. Not only do some oils relieve stress and encourage sleep, but others actually treat irritation and inflammation in the inner ear. Here are some of the numerous benefits of using essential oils for vertigo. In addition to offering relief for vertigo, essential oils can even complement your doctor’s prescription or any alternative treatment you might be using. If you’re ready to tackle vertigo head on, then here are the best essential oils to help you do it. Peppermint oil is quite the popular treatment for headaches, nausea, motion sickness and vertigo. This effective remedy for vertigo contains rejuvenating and anti-inflammatory properties that offer relief to all sorts of disorders and nervous tensions. 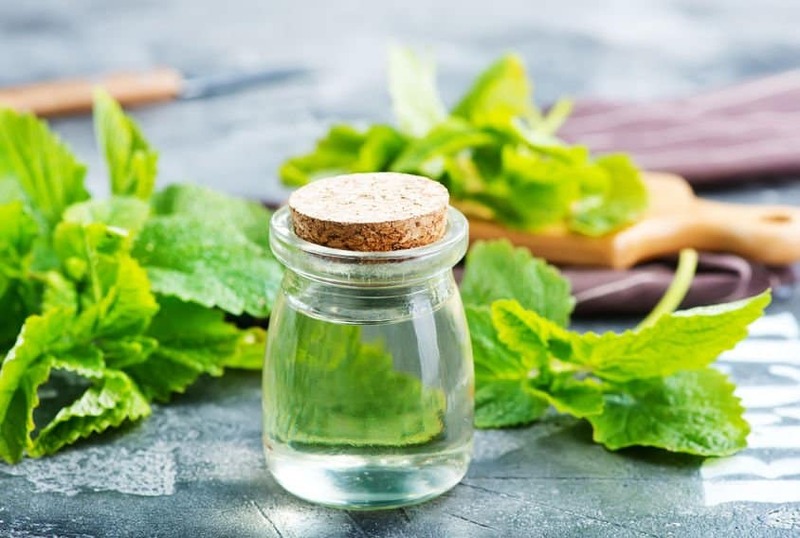 What’s more, peppermint essential oil improves the airways, clears the mind, ensures proper brain oxygenation while soothing the stomach of any nausea. The active ingredient in peppermint is menthol which cools and refreshes. Plenty of studies have actually shown that ginger oil contains active ingredients that can help alleviate nausea, dizziness, vomiting as well as other common symptoms of vertigo. Since it settles the stomach and calms the nerves, ginger oil is both a preventative measure as well as a treatment for vertigo. What’s more, this essential oil also contains properties that help improve blood flow. Yeah yeah, most of you hear Basil and can’t stop thinking about that spaghetti sauce. Apart from garnishing your meals, Basil contains the ability to make one incredibly useful essential oil. The anti-inflammatory and antioxidant compounds within help to balance out the nerves and soothe your mind while also improving respiratory function. More oxygen to the body means better brain function and fewer symptoms of vertigo. Basil’s light, spicy and sweet scent makes it a perfect aromatherapy for remedying symptoms. 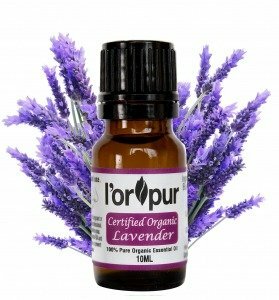 Lavender oil is pressed and extracted from the petals of the lavender flower and boasts of a sweet, floral fragrance that helps people relax, fight depression and inflammation. The essential oil can also help cure insomnia and offer quick relief for nausea. Just put a few drops of the oil on your pillow every night for overnight relief and a great nights rest. Clary Sage essential oil is a winner that is particularly effective for causes of vertigo that have to do with the nervous system malfunctioning. The active compounds in clary sage oil act as sedatives while the strong aroma calms the nervous function down and promotes more normal cognitive processes. This leads to the instant elimination of dizziness and lack of balance often accompanied by vertigo. For those of you who are in the dark, here’s some general knowledge for you. 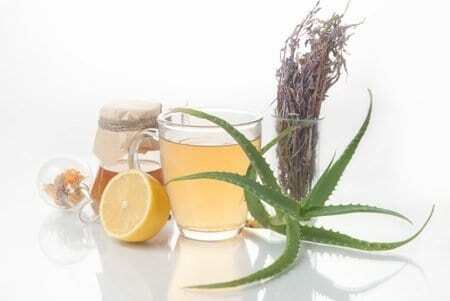 Did you know that virtually any citrus oil can help with migraines, tension headaches, dizzy spells, and even vertigo? Tangerine oil comes directly from the peel and is most effective when it comes to targeting the precise symptoms of vertigo. This is a very pungent resin extracted from the sap of the Boswellia family of trees. For centuries, Frankincense has been used to heal and enhance spirituality. The stuff can be burned down to reduce symptoms of vertigo caused by ear infections, control anxiety attacks and reduce stress. 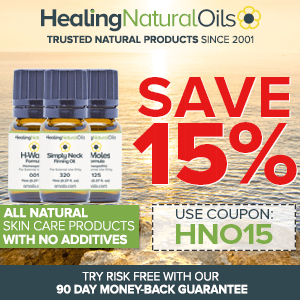 If you’ve been fighting vertigo for years like me, then you no doubt know that it takes more than one type of essential oil to get the job done. To get the best results, I always use a combination of the best essential oils for vertigo for a broader spectrum and better relief. If you’re looking to turn all MasterChef in your kitchen, here are the bets essential oil recipes for vertigo. Once you have all these items assembled, remove the roller ball from the bottle and add the essential oils drop by drop. Top the concoction with fractionated coconut oil, firmly push back the roller ball and shake well to combine these oils. Roll the bottle on your temples, behind the ears and at the base of the skull for the relief of various vertigo symptoms. Once you have your ingredients assembled, remove the cotton wick from the inhaler and add the named essential oils drop by drop. Place the wick back inside the inhaler and snap the plug at the bottom. Take deep breaths from the inhaler as needed or when faced with bouts of vertigo. After assembling your EOs, mix them with the coconut oil and gently rub on the temple, behind ears and at the base of the skull to keep nausea and dizziness at bay. Carefully mix all the oils together in a glass bottle in cool, dry conditions. 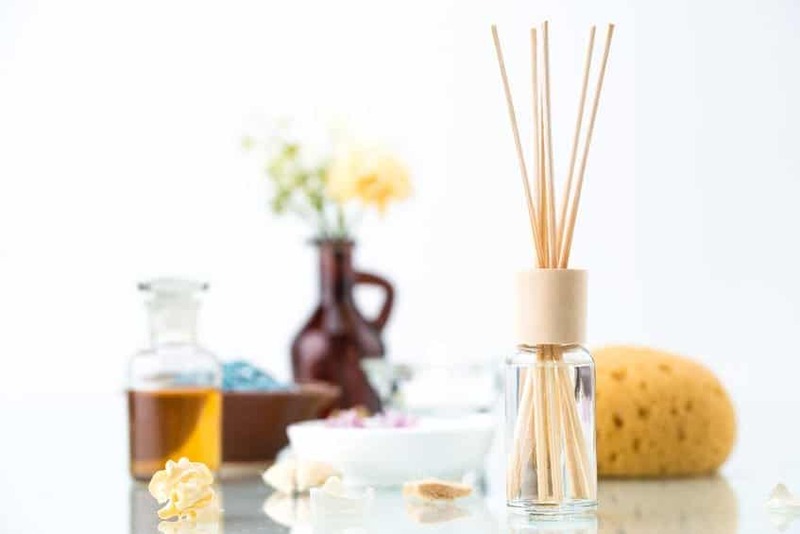 Once you’ve got a well-mixed blend, pour about 8-10 drops of the mix in a diffuser and enjoy it as you usually do. This mix is also quite relaxing and pleasant to inhale. Mix your essential oils together and shake well to get them thoroughly mixed. Store the mixture in a roll-on or deodorant bottle for easy carrying everywhere you go. Once you start feeling the effects of vertigo, just rub a moderate amount on your temples, soles, spine, neck and behind the ears. What Are The Best 5 Home Remedies For Vertigo? Apart from exercises and essential oils, there are tons of natural remedies all designed to help combat the ill effects of vertigo. Let’s have a look at the most popular and effective home remedies for vertigo. This is without a doubt one of the most widely researched herbs throughout the entire planet. It is famous for increasing blood flow to the head and brain as well as preventing or reversing tinnitus, macular degeneration, loss of taste or smell and short-term memory loss. This extract can be purchased in liquid or capsule form. Just 240 milligrams of Gingko Biloba every day should drastically reduce vertigo symptoms and give you more balance and stability. If you’re not feeling the effects of ginger essential oils, you could always go for the source. According to studies, ginger root significantly reduces vertigo and cuts down on nausea and vomiting. Just boil ginger root in water, add a little raw honey, and drink the mixture twice a day to beat vertigo. Did you know that the abundance of vitamins E and B in almonds and milk make them highly effective for combating vertigo? Soak four almonds in filtered water overnight, grind them up in the morning to a fine paste and add to warm milk. Who would have guessed it; turns out that relieving your vertigo could be as simple as eating foods packed with vitamin C. According to a study done in Japan, Meniere’s patients who consumed daily vitamin C showed significant improvement with their vertigo. To give your body a healthy dose of vitamin C, try incorporating fruits and veggies such as cantaloupe, broccoli, green peppers, sweet potatoes, strawberries as well as dark, green, leafy vegetables. Traditional Chinese Medicine (TCM) encompasses precisely how the human body interacts with all aspects of life and the environment. Acupressure helps alleviate the symptoms of vertigo and dizziness absolutely naturally by stimulating a specific set of pressure points located in numerous parts of the body. According to Modern Reflexology, an effective acupressure point that works as an instant cure for vertigo is located three fingers directly below the wrist, on the inner forearm, between the two tendons. While there is no way to prevent vertigo itself, you can help keep the symptoms at bay and prevent them from having too much of an effect on you. For starters, you could control all the risk factors that have anything to do with the condition. Decreasing risk factors for stroke-induced vertigo begins by making sure your blood pressure, glucose, weight, and cholesterol are in optimal ranges. Secondly, Meniere’s disease will require you to limit your salt intake to help prevent vertigo from becoming too chronic. But for peripheral types of vertigo, then you can help prevent the recurrence by performing some of the exercises we had mentioned above. The truth is that most vertigo cases are spontaneous and it is quite difficult to predict who is at risk or prevent it. But while complete avoidance and prevention may not be possible, maintaining a healthy lifestyle will significantly decrease the risk of vertigo. As you would expect, vertigo is bound to limit certain activities. To be on the safe side, there are several precautions that you have to take. For your own safety, please take all these precautions seriously; they’ve saved my life more than one time. If you have vertigo, there’s no telling when it could strike. That’s why it’s always safe to assume that you’ll get an attack in the next few moments. As such, climbing ladders and driving cars may not be two of the best ideas you could come up with. Fall-proofing your entire home is highly recommended. Can you imagine being hit by vertigo while drunk? It is hands down one of the worst and immobilizing experiences ever. But beyond the dizziness, alcohol can actually change the composition of the inner ear fluid. Cutting back on the booze or stopping altogether could help with your vertigo symptoms. The last thing you want is to get dehydrated. See, even mild dehydration could cause your blood pressure to drop; leading to nausea and dizziness. The body needs about 8 to 12 cups of water a day, so make sure you keep count. While most people don’t associate vertigo with a flat pillow, this could be what is causing you uncomfortable nights. Experts recommend changing your pillows every six months to help improve neck posture during sleep. Apart from vertigo, lack of enough sleep could actually cause an array of ailments and even death. Be consistent with your bedtime hours, avoid napping during the day and get enough sleep to keep vertigo at bay. Psychotherapists advise people with vertigo to reduce stress levels and anxiety. That’s because managing your stress could actually reduce pressure and lessen the severity of your vertigo symptoms. Try some yoga, Tai Chi, meditation, sports or any other stress reliever. There you have it; all the information you need to live with and treat your vertigo right at your fingertips. But remember – Vertigo is not a diagnosis. It’s simply a symptom of an underlying condition if it keeps on recurring. 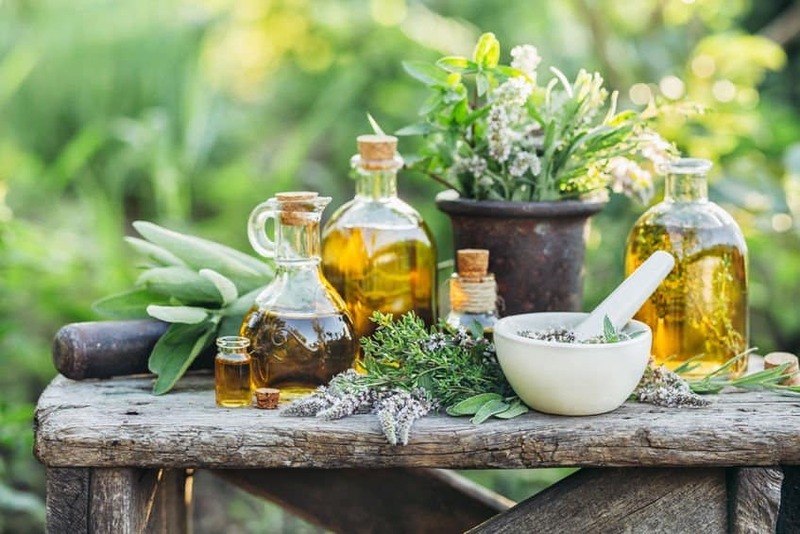 The home remedies shown above are only short-term solutions that will help you cope on a day to day basis, while the essential oil remedies are more a long term option. However, people who continue to experience frequent and severe vertigo will need to visit a doctor to identify the primary cause. Thank you for this information. Last year I had vertigo almost every other week starting first with ringing in my ear and sometimes quite loud and then vertigo come on usually at night. This year some how it is much better but my ears still has a humming sound, almost all the time. Do you have any eo for ear humming? It is annoying but I’m learning to live with it. I tried Helichrysum combined with Patchouli diluted and rubbed around the ear but with no help. I would appreciate if you have any recipe to bring relief to the ringing. Add the following essential oils to the carrier oil and store in a dark glass bottle. Take 3-5 drops of the blend on a cotton ball and apply (in a circular motion) around the ear lobes, temples, behind the ears, and sides of the neck. The important thing is to be consistent and repeat 3 times a day for 2-3 weeks. My pleasure. No worries, if you come across it feel free to post it anytime. Have a great festive season too. Sure, stay subscribed for the latest. I’ll have it in the next few months. Thanks for this article. I have severe vertigo for many many years after rupturing my ear drum in an airplane decent. I will definitly try these recipes. You’re welcome. Let me know how you go.